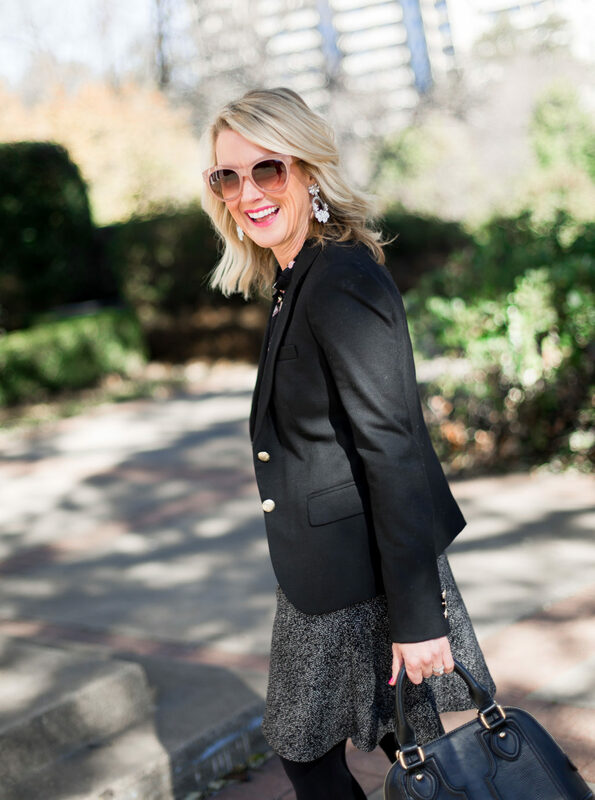 Work to Weekend | Schoolboy Blazer | hi Sugarplum! 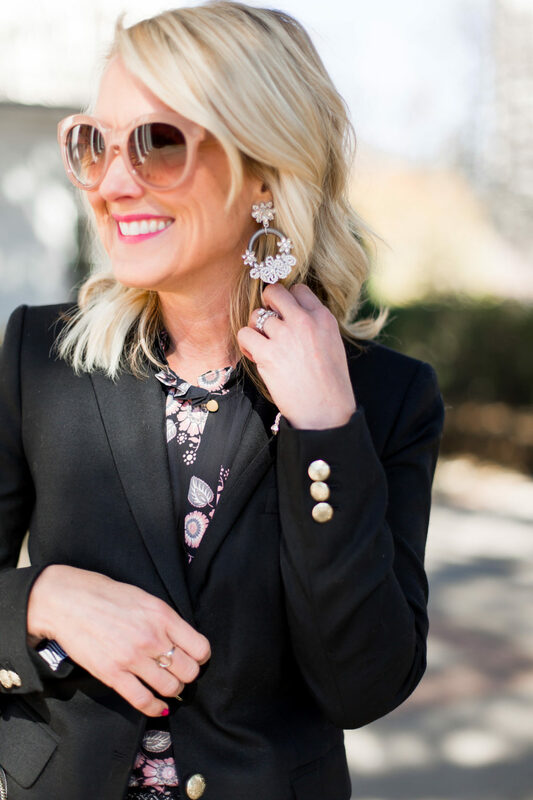 Growing up, I thought of women’s blazers simply as one half of the power suit, a wardrobe essential for those working in conservative offices. The shoulder pads were huge, and they concealed any evidence of a women’s figure. And for that very reason, I steered clear of them for years. But today’s blazers have shrunken proportions for a feminine and flattering fit. They celebrate a woman’s shape, while still being appropriate for all occasions, and are synonymous with preppy chic. We’ve come a long way, baby! They’re incredibly versatile wardrobe staples, always adding a stylish touch, making them perfect for Work and Weekend. For office or church, pair it with a skirt or slacks, or layer it over a dress. I prefer to pair them with feminine blouses like this pretty floral, and of course a statement accessory. You could go more classic with these stud earrings. 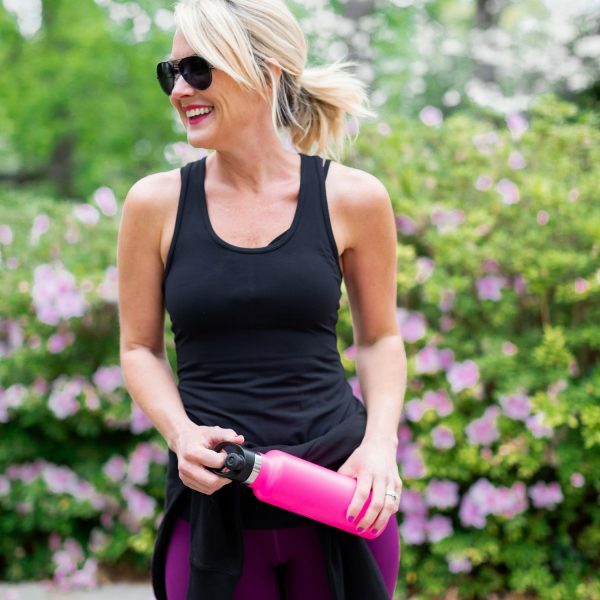 The key to a modern fit, is fitted through the shoulders, a slightly nipped-in waist, and a length that falls below your natural waist, but above the widest part of your hip. Fit Tip: I layer mine only over light fabrics, so no need to size up…I wear a 0 in both this one and this one. I prefer this outfit sans-tights, but I know it’s way too cold to do that for most of you, so I wanted to show you a real-life depiction of the outfit. If I have to wear tights, I always go for these for their comfortable fit and opaque color. 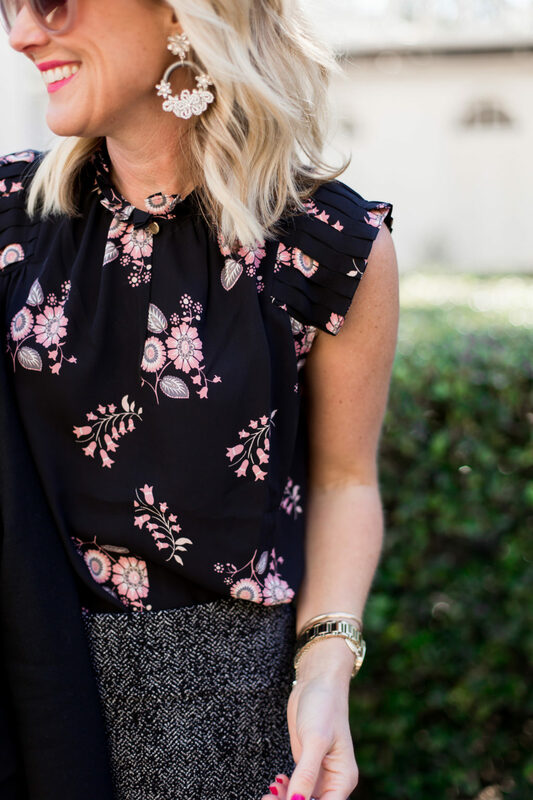 Fit Tip: I’m wearing an XS blouse, and the armholes are a little big, so I’d recommend sizing down if you’re small-chested. As for the skirt, I’m wearing an XS and it fits low on my waist. If you have a small waist, I’d size down so it fits on your natural waist. Now let’s transition the classic schoolboy blazer for weekend! 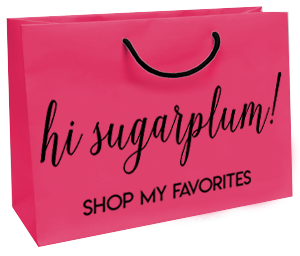 I love it over a graphic or striped tee (how cute is this one? ), and either a statement earring or necklace. I paired it with leopard flats for a ‘Casual Friday’ look, but it would be equally cute with these sneakers. 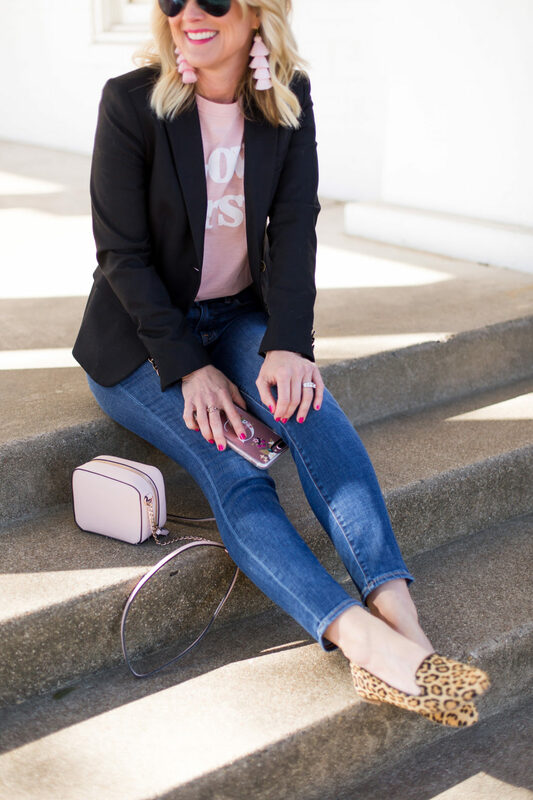 I think of my blazers as I would a cardigan or jean jacket, and that helps open the styling possibilities. You can also pull up the sleeves and pop the collar for an even more modern look. 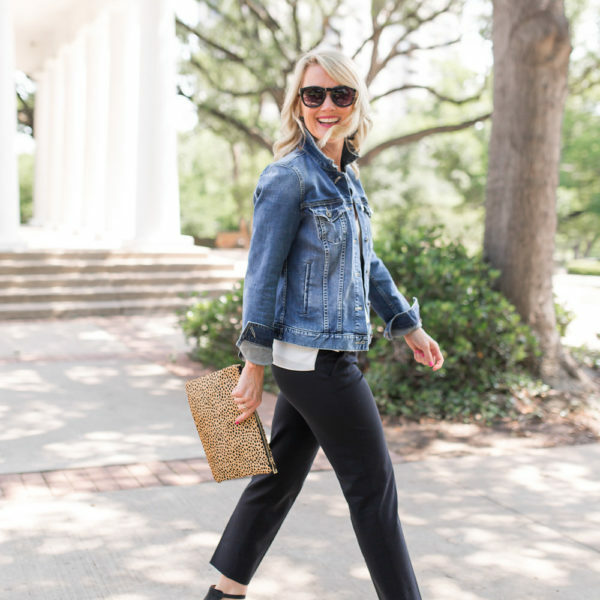 I love these jeans for their mid-rise fit, and soft, stretchy material, and the ankle length is perfect for booties and flats! I’ll be wearing them all Spring with flats and sneakers, and later with sandals and wedges. 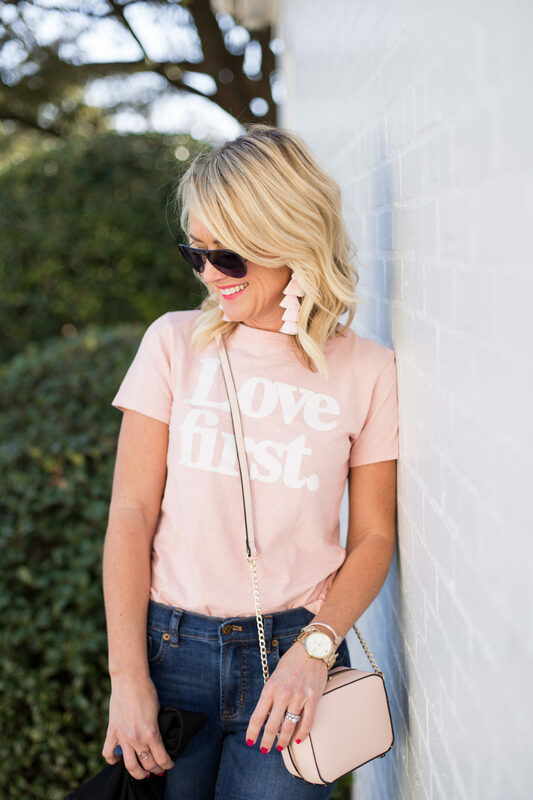 How cute is this tee for Valentine’s Day? And this sweet crossbody bag is only $20!! 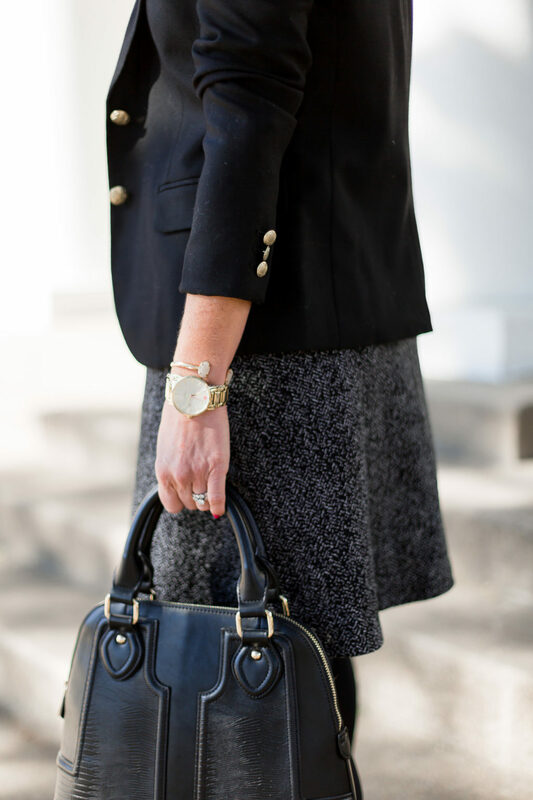 Do you have a blazer in your closet? Did you know they originated as a jacket for rowers, and the first ones were blazing red…hence the nickname blazer? Just your random nugget of the day. Hope your Monday is great! 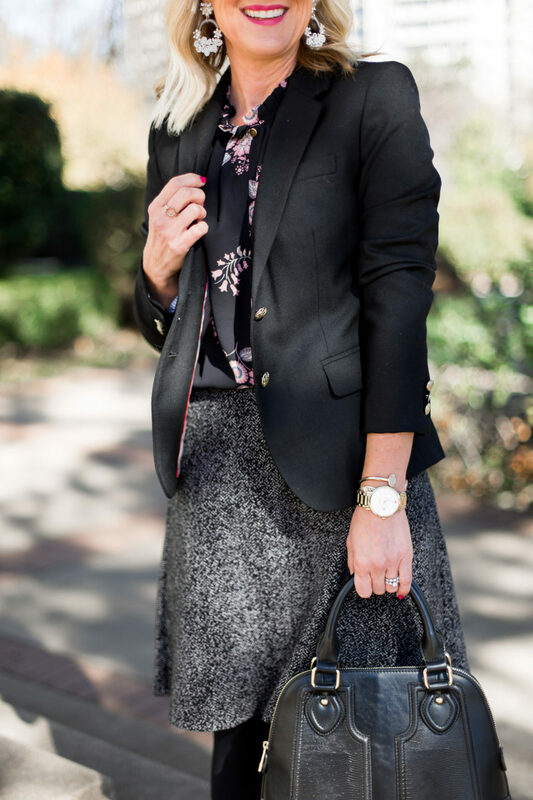 See more Work Wear styles here. 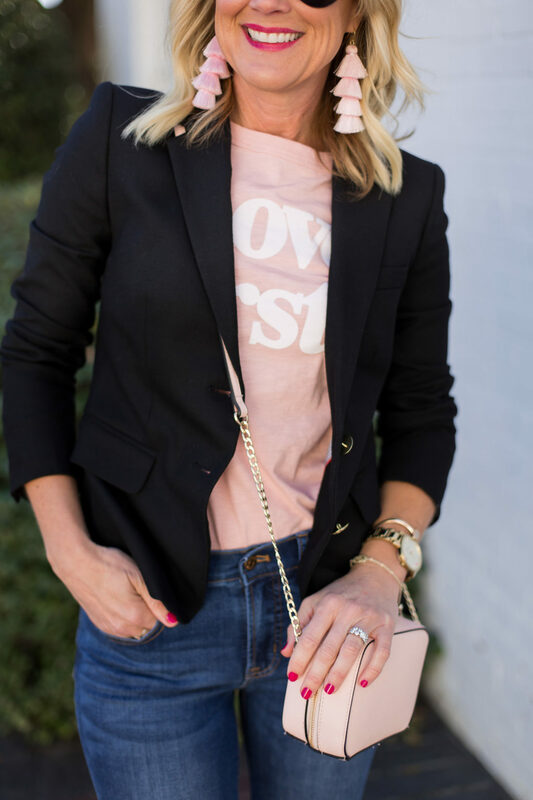 I love just a basic, pretty, black blazer, it really goes with everything so well. 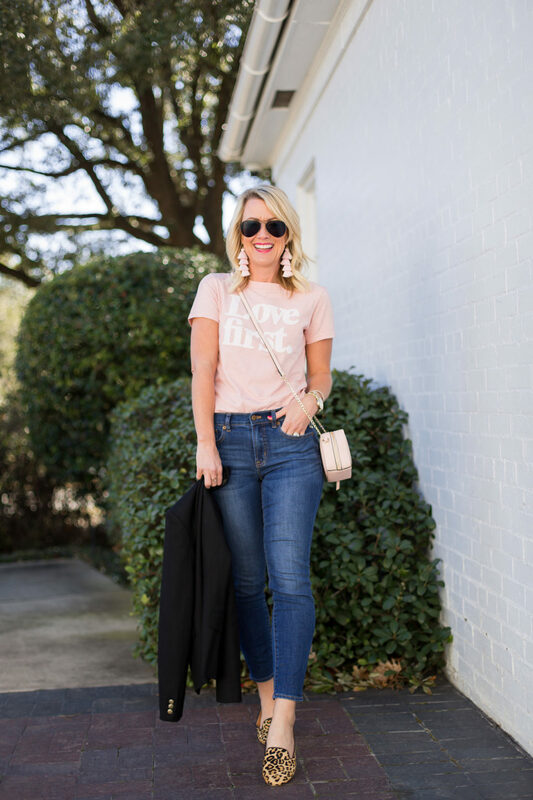 Love the casual weekend style! Can you let me know your exact handbag? It is much more classic than the one you have linked in this blog. I love J.crew’s blazers, especially the schoolboy. I have them in several colors and patterns. 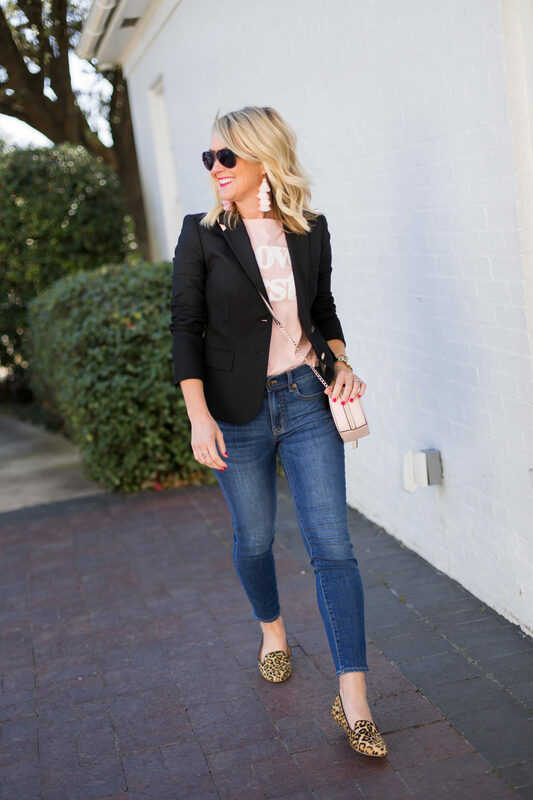 Wearing a blazer, T-shirt, skinny jeans and either heels or boots is my uniform on weekend date-nights. 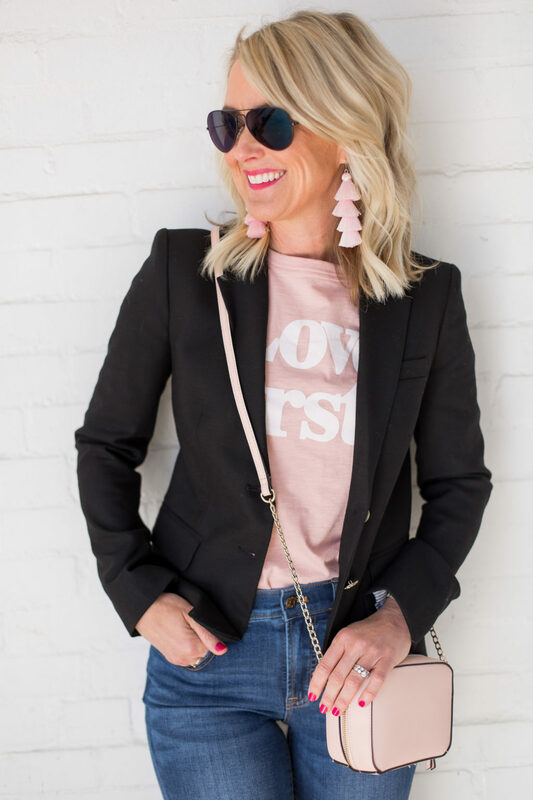 What are the sunglasses in the work blazer outfit? I love the over-sized pink! 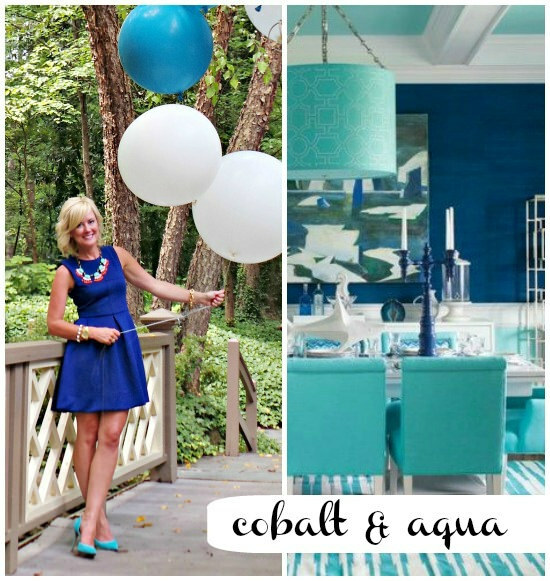 Love the looks , inspiration and sales that you share. It just occurred to me that you do work outside the home. 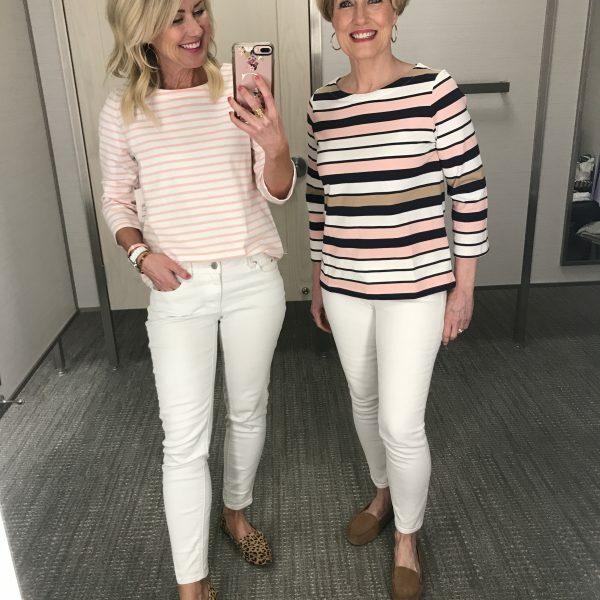 Will you please share some more of your work outfits with us. I am in a rut and could use some good stylish insight. Love that you dress like a stylish woman and not a girl!